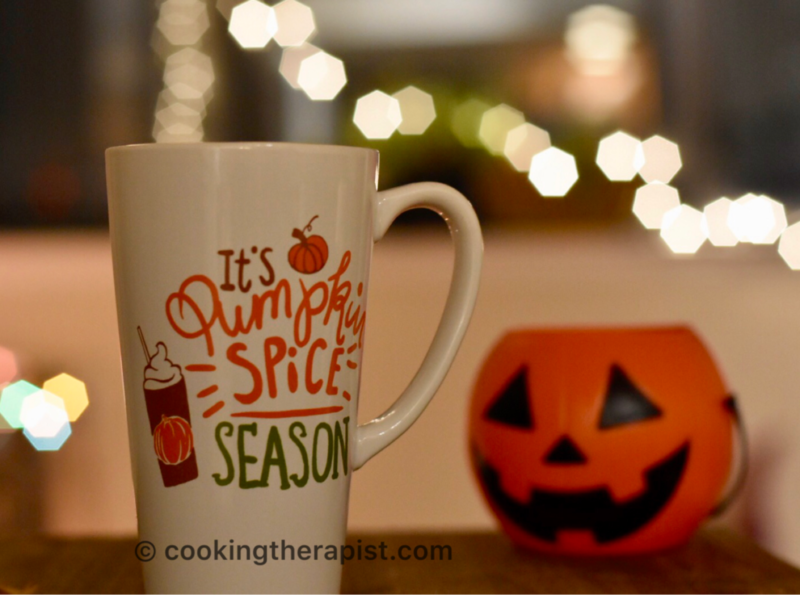 You might know that why fall is all about indulging pumpkin and pumpkin spice, if not then you will know that here. 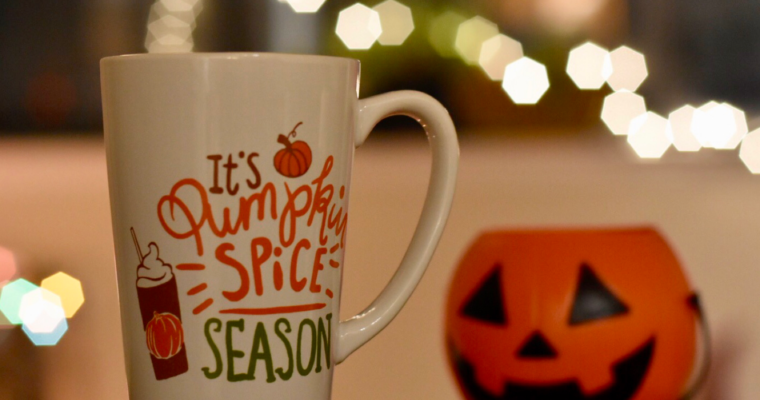 Pumpkin pie spice got more popularity after added by starbucks fall menu and now it is almost everyone’s favorite. Pumpkin spice hot chocolate is a caffeine free drink which gives soothing effects to your throat and luxurious experience to your palette. During fall season we can get abundant of pumpkin, which contains dose of vitamin A for your eye, more potassium then banana and much more. Enjoy this luxurious drink with your friends and family to make it more indulging. Simmer milk on medium to low flame. Add pumpkin puree, pumpkin pie spice and again simmer for 5 minutes. Finally switch of the flame and add white chocolate chips and vanilla extract. Whisk mixture well and serve it hot. If you want you can garnish it with whipped cream. You can adjust pie spice according to your taste. You can add cocoa powder or chocolate chip too. I have used white chocolate chips here. For dairy free and vegan version use almond milk or milk of your choice. Adjust the amount of chocolate chip according to your sweetness level. You can buy pumpkin pie spice from the grocery store especially like whole foods, so that you can get the quantity you want. 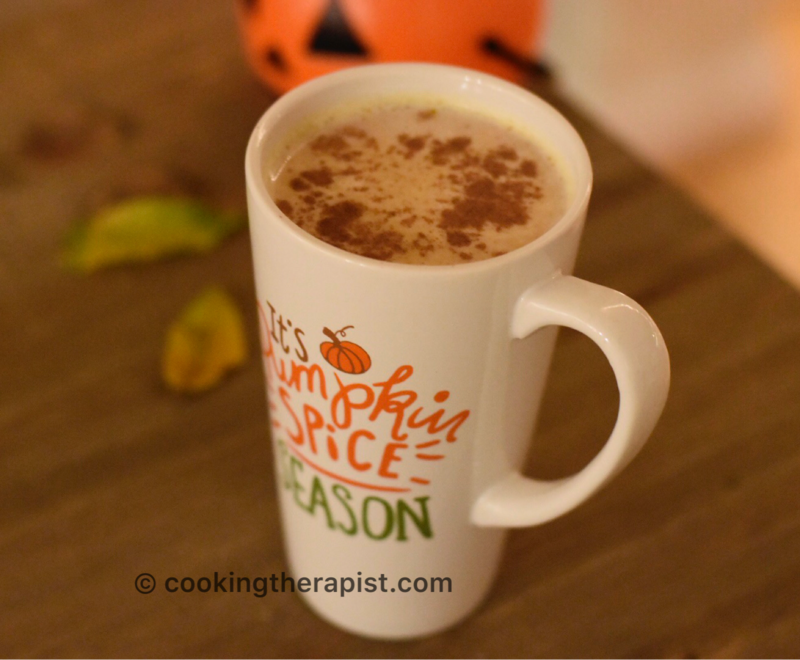 If not then check here for Pumpkin pie spice recipe: 3 tablespoons ground cinnamon, 2 teaspoons ground ginger, 2 teaspoons ground nutmeg, 1 ½ teaspoons ground allspice and 1 ½ teaspoons ground cloves. Mix the spices together in a small bowl and store the mixture in a clean small jar or spice container. 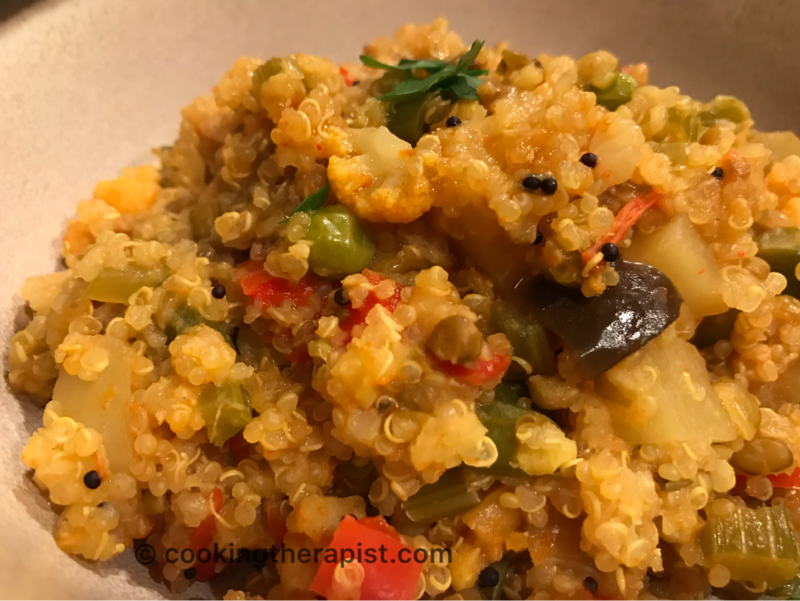 Check here for more nutritious recipes. Follow us On Facebook for more updates. Next upcoming is super easy pumpkin pie alternative recipe.